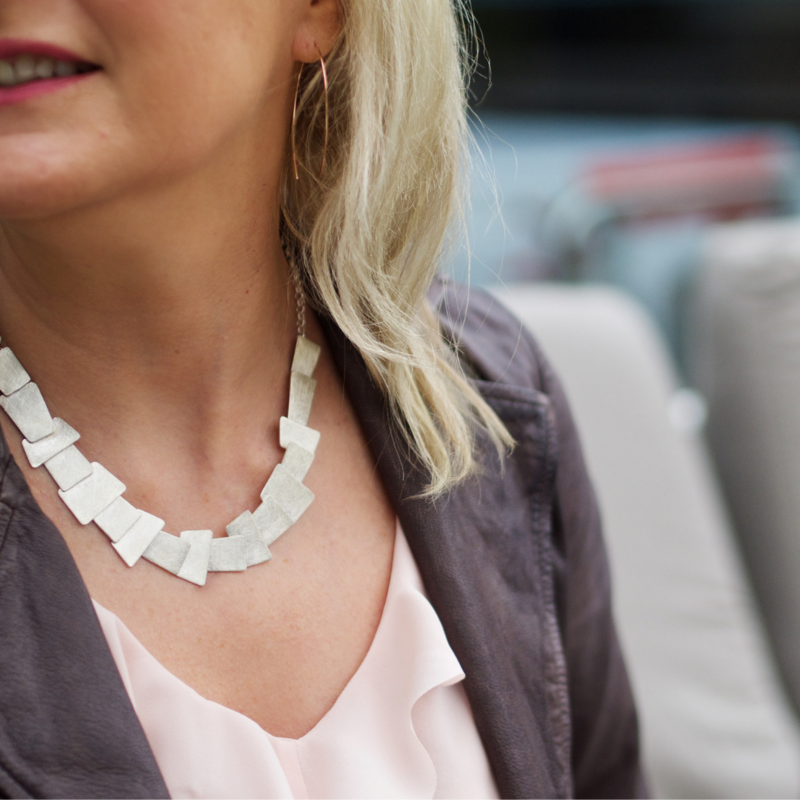 If you work in a creative environment this may not be an issue for you but for many who work in an office environment where the ‘uniform’ can be fairly restrictive, often monochrome, your ‘out of office’ choice of accessories may not be appropriate. 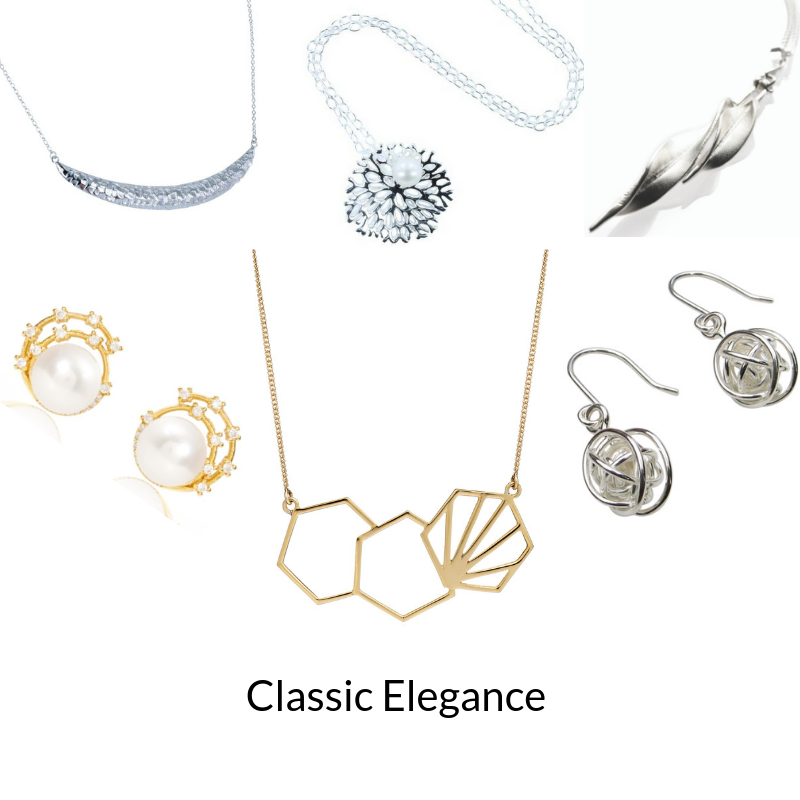 Maybe because of this you tend not to bother, or you just throw on something randomly just before you leave home but if you want to make an impression, look polished and sophisticated then jewellery really is worth taking seriously. A few well chosen, quality pieces can set you apart, make you look more together, feel more confident and pull you out of a rut! 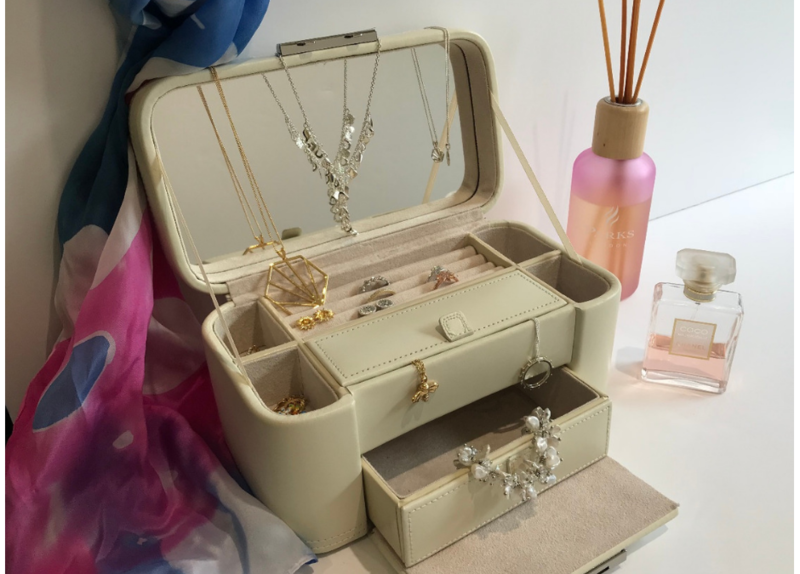 Just as you probably have one space in your wardrobe for your work clothes and one for your ‘weekend’ clothes, consider doing the same in your jewellery box/drawer. Separating the workplace items from the more casual ones will make it easier to get dressed in the mornings – no more head scratching or delays while you rummage and you will be able to keep to the style guidelines with absolute ease even if, like me, you are always running late! Think strategically and start with essentials. A white shirt, perfectly fitted skirt or trousers and an impeccably tailored blazer are the workplace basics – you need the equivalent in jewellery. 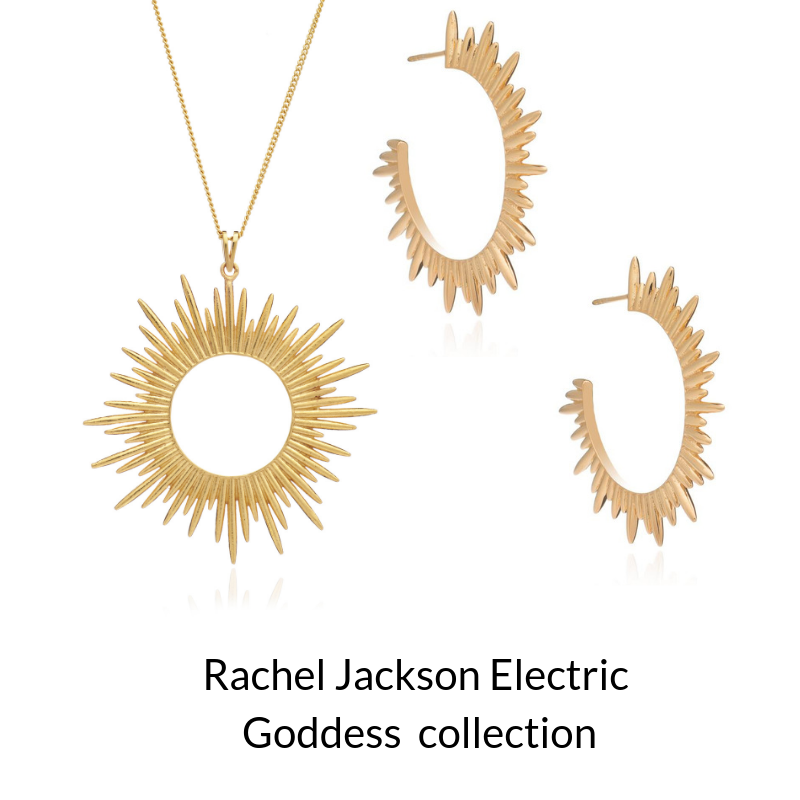 A pair of studs, a simple necklace or a discreet, yet elegant pendant and a delicate bracelet. 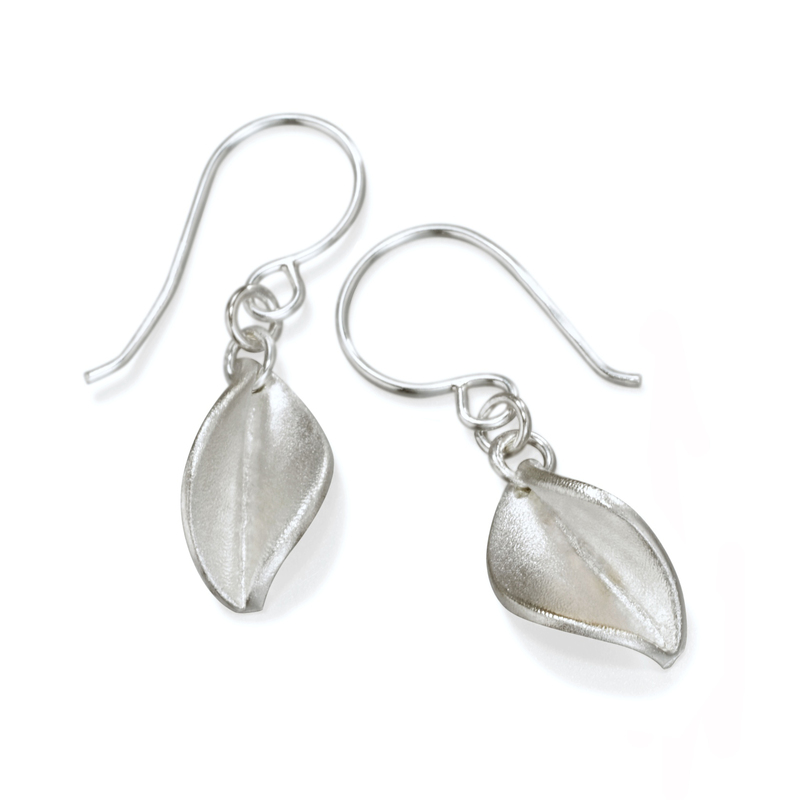 These will form the basis of your capsule workplace jewellery collection and from this you can branch out. Just because this is for the office doesn’t mean you can’t have a signature style even if its very different to your weekend style. Consider your hair. 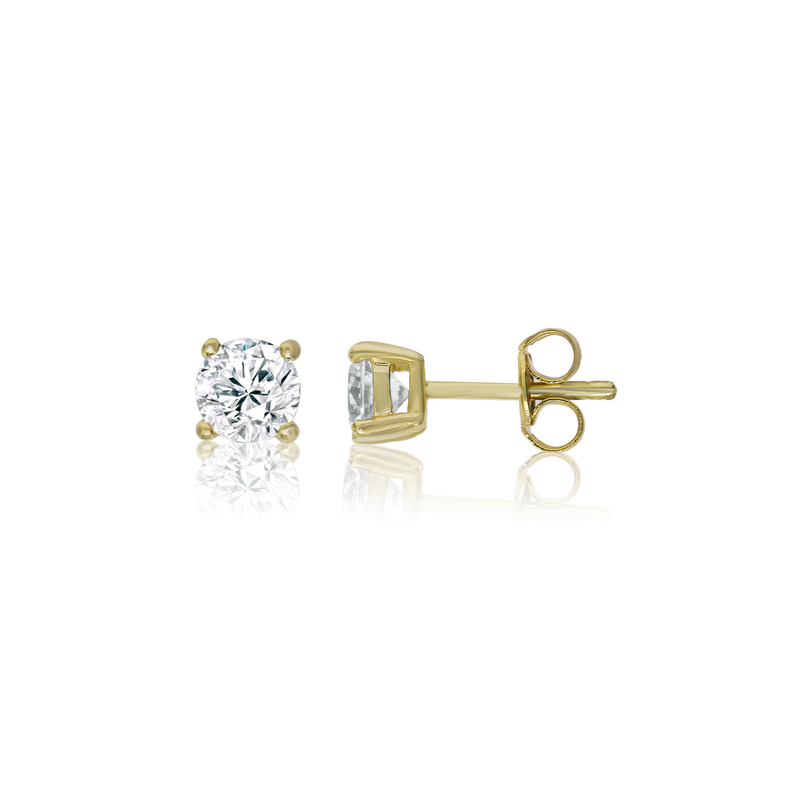 If you have short hair or wear your long hair in a chignon or ponytail to keep it out of your way in the office, then consider slightly longer (albeit still discreet) earrings as a counter balance. They’ll look really elegant! 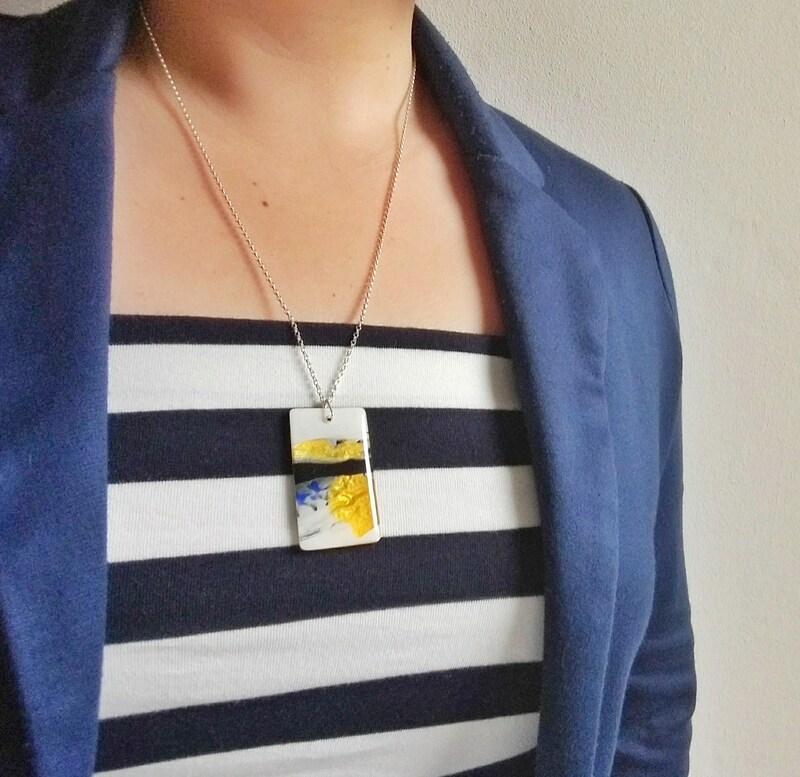 If you are normally flamboyant and feel constrained by the work environment, try wearing a piece that’s slightly bolder or brighter but still understated. It may seem surprising but quantity in the area of corporate wear can mean style! However I’m talking minimalist pieces here. 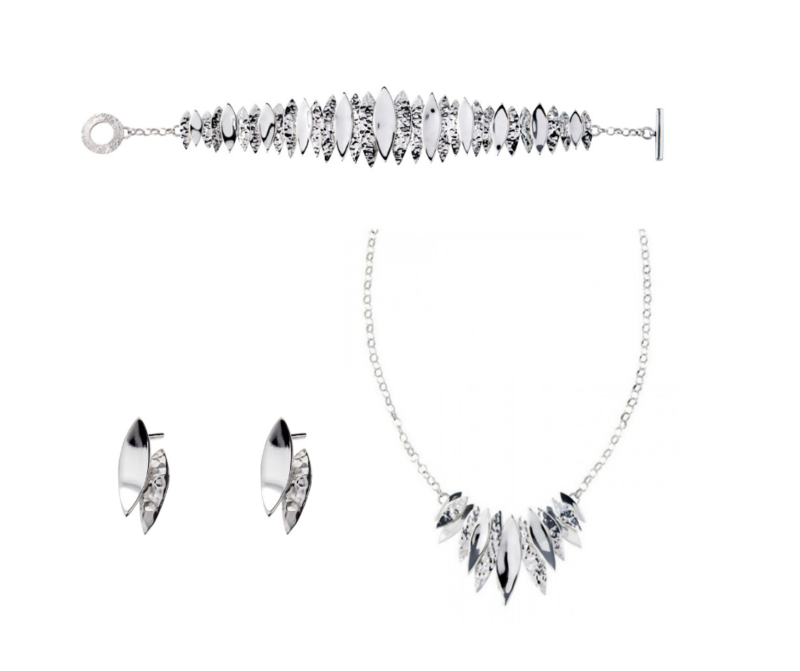 Making a subtle statement with quality matching/complementary jewellery items can be preferable to one ‘loud’ statement piece if you want to get noticed for the right reasons. 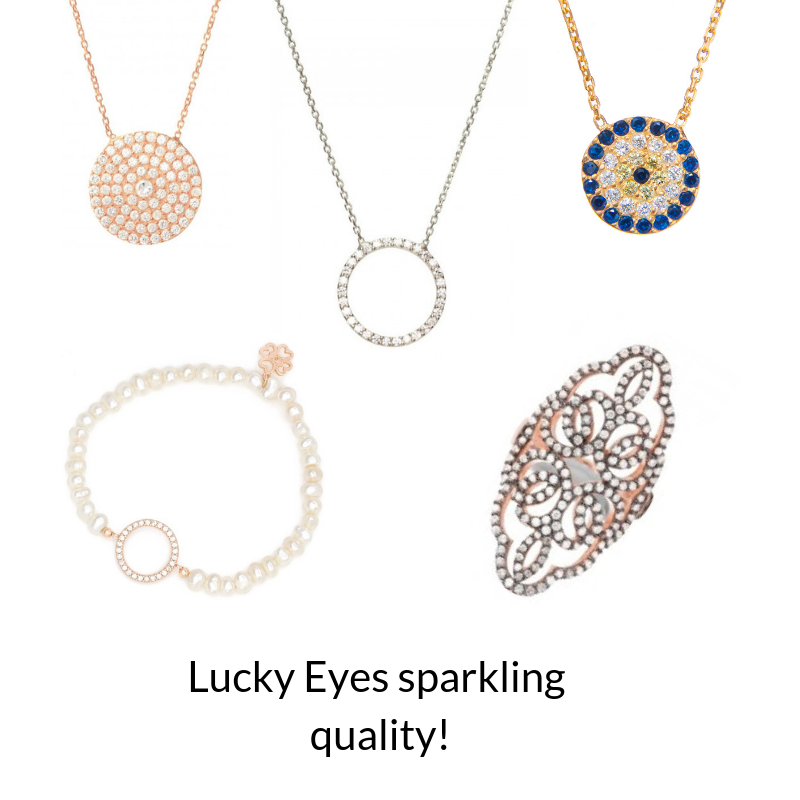 However choose your larger piece carefully and wear alone and you can look very chic! Do you have a Board meeting the next day or a 1-2-1 with your boss or are you just going to be at your desk all day? 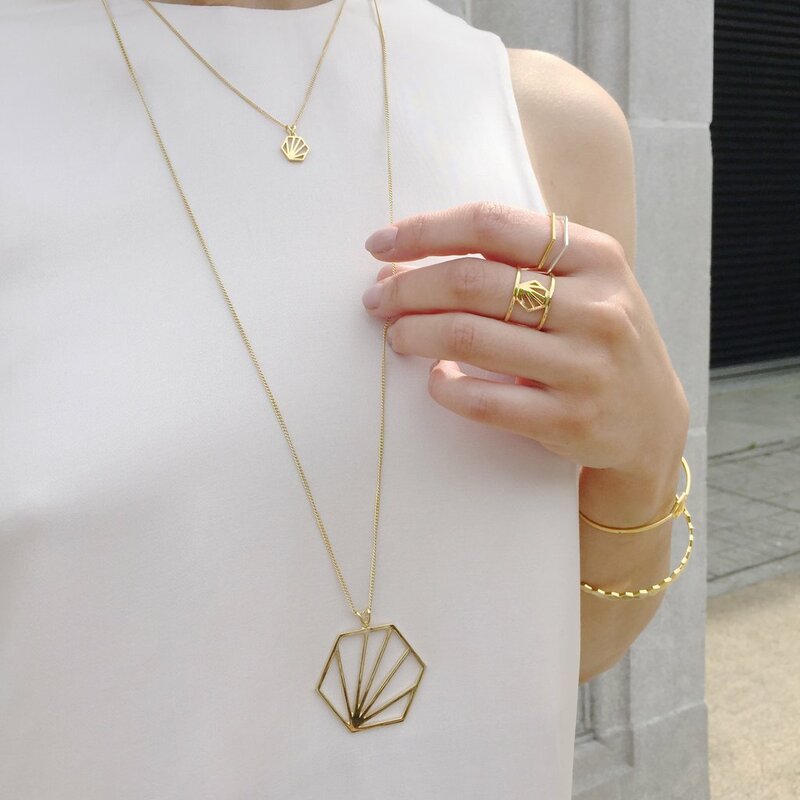 Whatever the activity office jewellery can empower you. Think strategically. If, for instance, you are going to give a presentation, wear something with a stronger impact. You know you’re going to have people looking at you so take advantage of the situation wearing something that will add some ‘shine’ without being overbearing. Wear as large a necklace as your frame allows which can emanate a sense of power (many of the worlds most powerful women wear chunky necklaces); choose a bold cuff over bangles that clink loudly as that will be distracting for your audience; wearing a stunning pair of earrings will get people focussing on your face and therefore what you are saying; if you will be using your hands to point at the screen/whiteboard, a statement ring will route attention to your hand adding weight to your gestures. You spend a lot of time at work! 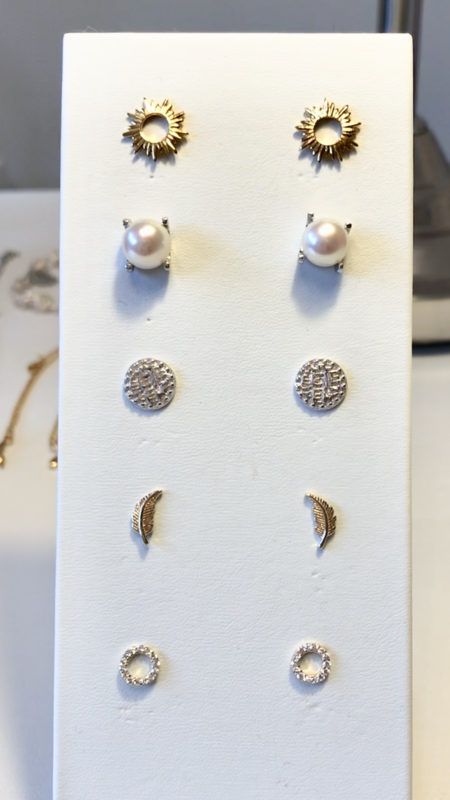 Cost per wear is an oft used term for deciding the value of items in your wardrobe – the same principle can apply to your jewellery and as we all spend a lot of time these days working, the cost per wear can be great value indeed! Buying good quality pieces will be a good investment. I’m sure you’ve heard the saying ‘dress for the job you aspire to, not the one you’re doing’; well, go for it – a few thoughtfully chosen pieces will mean you always look good, and look as if you mean business. 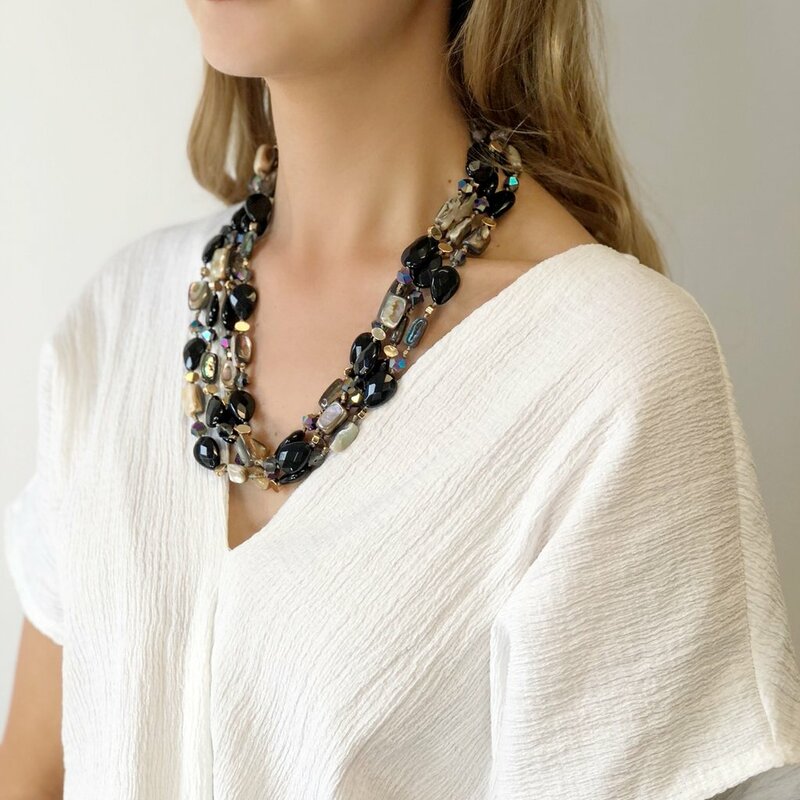 Carefully chosen jewellery can enhance your outfit, your image and your confidence so whatever your style personality after hours or at weekends, if your workplace is more conservative, reigning it in, being clever in your choices will be well worth the effort. 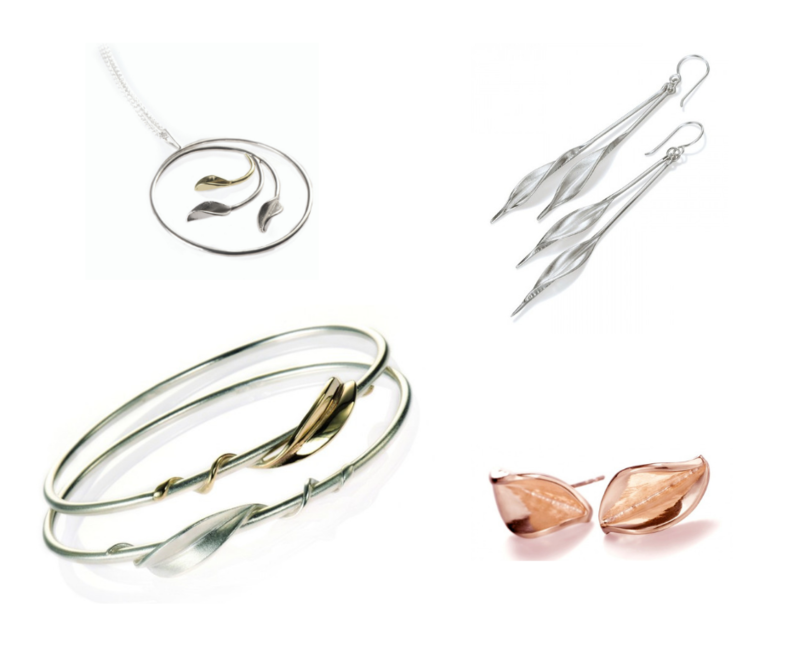 Nature has always been a tremendous source of inspiration to artists of all sorts and none more so than jewellery. Humans have, since time immemorial, adorned themselves using whatever was around them; leaves, shells, feathers, bones, stones etc. Nowadays these components of nature are still used in various forms or represented in hugely creative and symbolic ways. In this blog I will illustrate some of the beautiful ways designers have interpreted the nature we see around ourselves every day, designers such as the highly acclaimed Bill Skinner, Collette Waudby and Chris Lewis amongst many others. 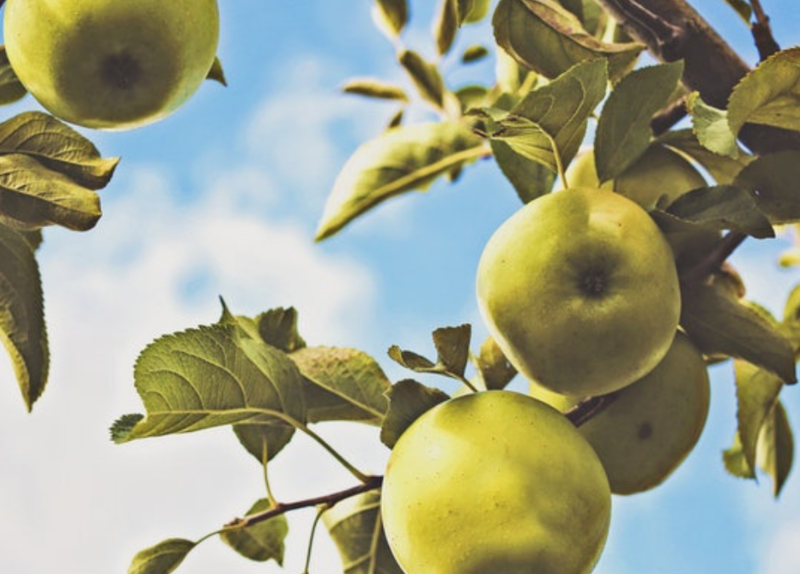 Leaves are all around us whether on trees or flowers and of course appear in many different shapes and sizes which is reflected in the diversity of design on offer. Flowers & fruit provide the opportunity for the exotic and of course colour! 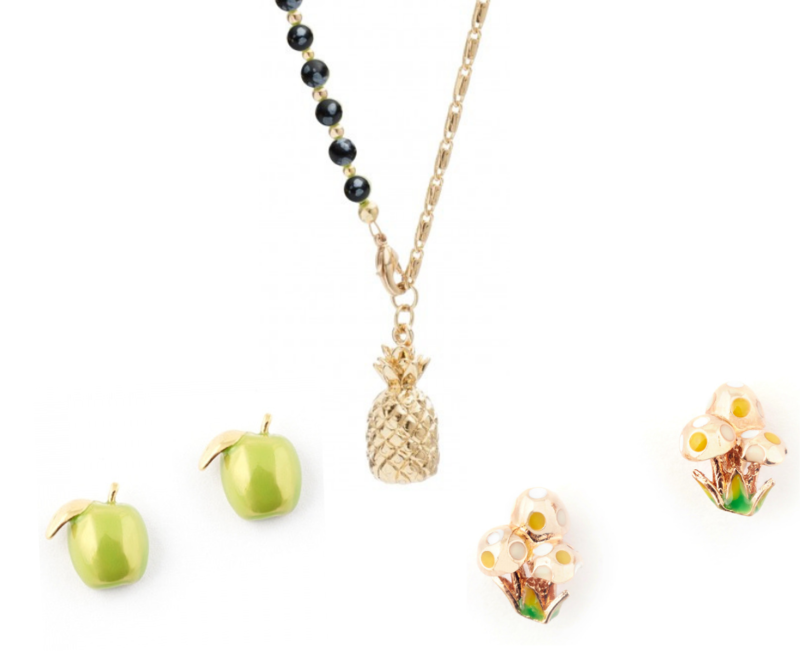 The renowned designer Bill Skinner excels at hand carving and combines floral with the creatures of the garden; due to its exotic origins and rarity the pineapple became a symbol of prosperity and status and is still popular with designers today but the more commonplace is also represented. 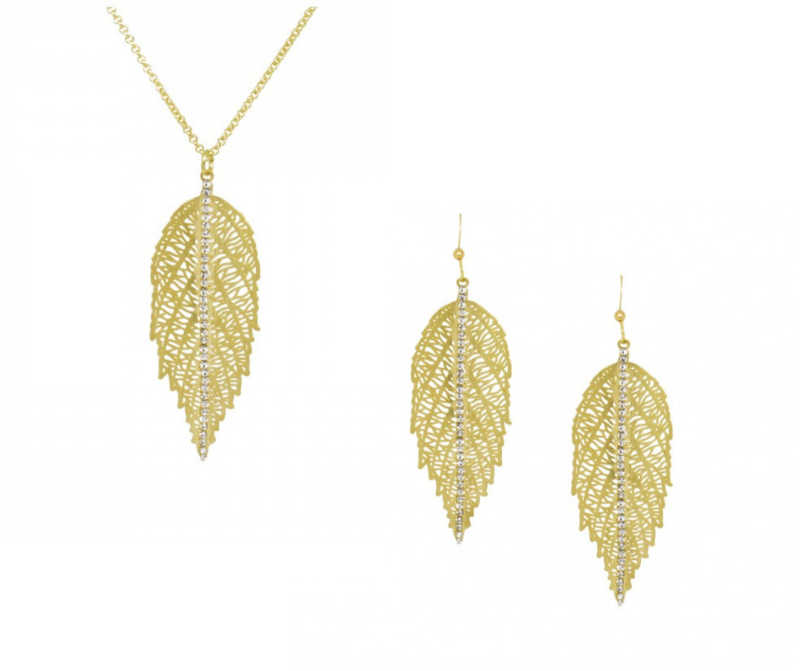 Feather & Fern are similar in form while being infinitely variable and continually attract the attention of designers. 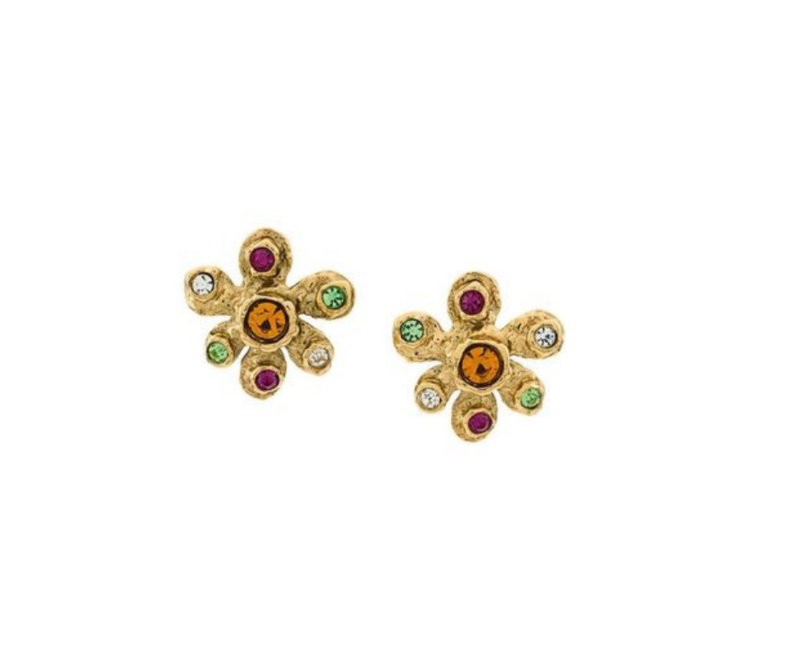 Through the centuries nature has inspired the designers, been loved by the wearers and will continue to do so. Whether it is the exotic, the elegant, the playful, the colourful, there is something for everyone’s taste, style and personality. 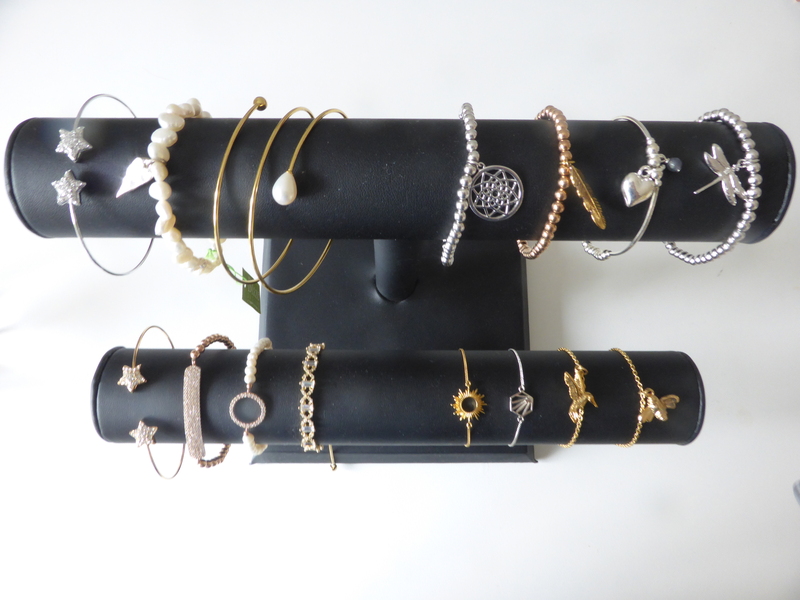 ….because jewellery is never an unwanted gift! 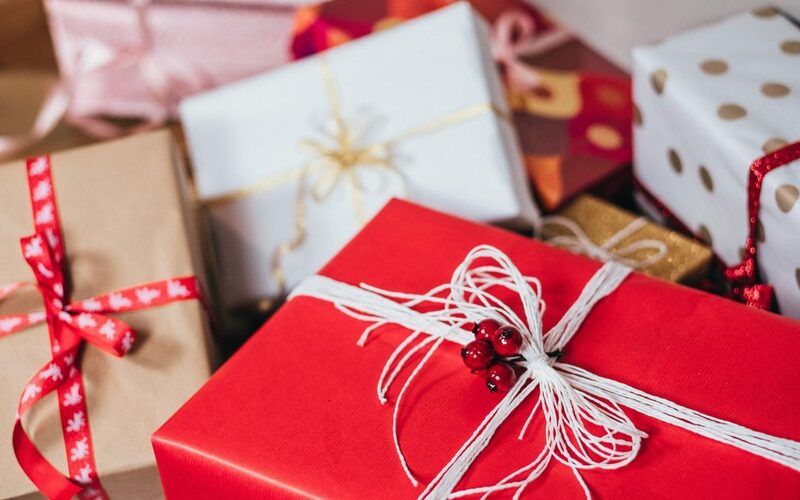 Christmas gift shopping can be a bit stressful but whether buying for a girlfriend, partner, spouse, mother, sister, even grandma, you really can’t go wrong with jewellery. 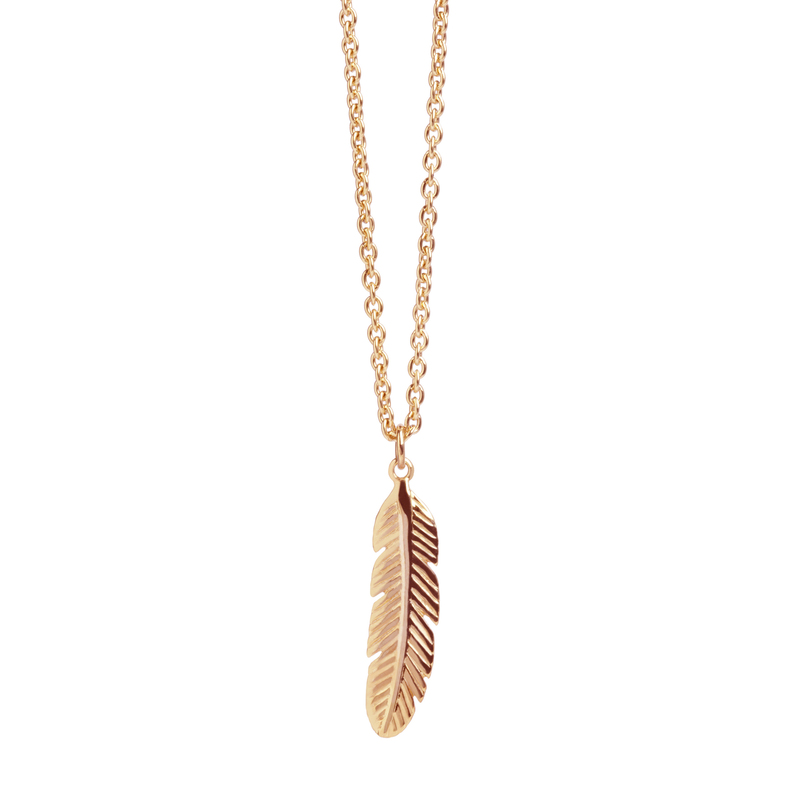 Choose from a pendant that has some significance or meaning, a long necklace or a bracelet. With the trend for layering and stacking no-one can have too many of these things! It’s not about how much you spend, the key is to show that you have given some thought to the choice so it becomes a treasured possession so I’m going to present you with some suggestions and ideas which will either solve your problem or at the very least give you some inspiration. This is perhaps the place to start. 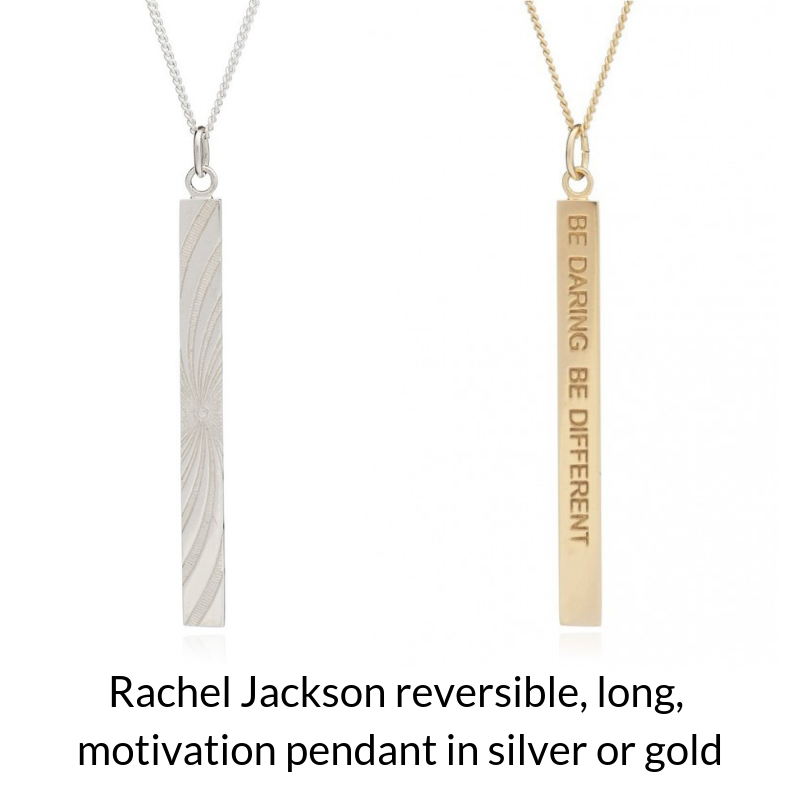 Nowadays often women like to mix different metals which makes life easier but some will opt for silver or gold depending on either a personal preference or because they identify as ‘cool toned’ and therefore know silver works better with their complexion or they identify as ‘warm toned’ and therefore go with gold. If this is gobbledy gook to you fear not! A rule of thumb is that if she wears cool, muted or deep colours she’ll probably be best with silver but if she dresses in rich warm, earthy colours then go for gold! Or you can simply look at what she normally wears and stick with that! There is another alternative of course which is rose gold which has the perfect blush that suits every skin tone so you can’t go wrong. 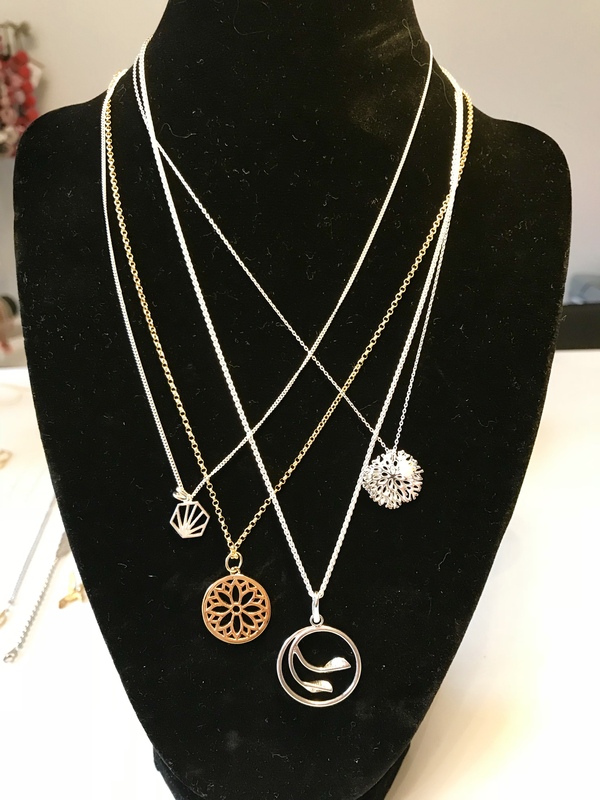 Whether it’s for a sweetheart, a friend or a relative try and tap into something in their personality, their likes, hobbies, aspirations etc……..
Talisman jewellery is a wonderful way to demonstrate the thought behind the gift. 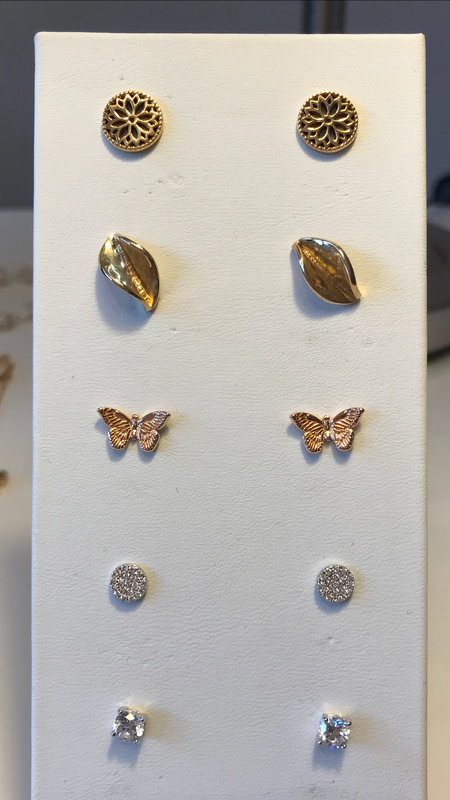 The Butterfly is a symbol of transformation so for anyone going through a change in their lives, whether personal or career wise this would be a great choice. The Purity Mandala is the talisman for health and happiness so if a loved one has been going through a difficult time this may bring some peace and harmony; the Bow is a symbol of everlasting love so perfect as an expression of love. 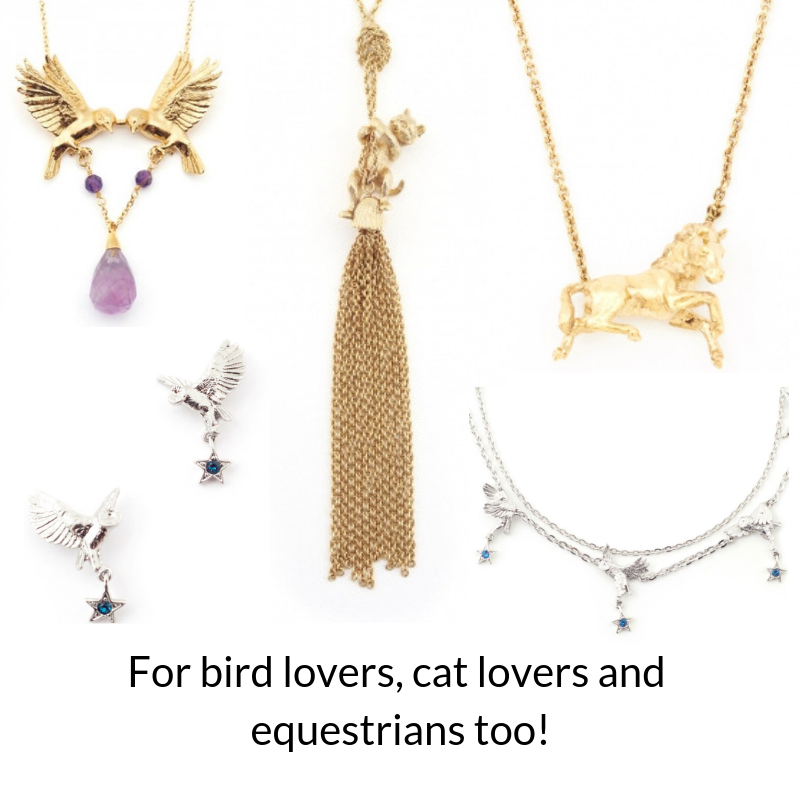 There are many other pendant options available also earrings and bracelets which all come beautifully gift boxed with a card explaining the symbolism. Does she love country walks? Does she love a nice garden? Is she a cat lover or an equestrian? 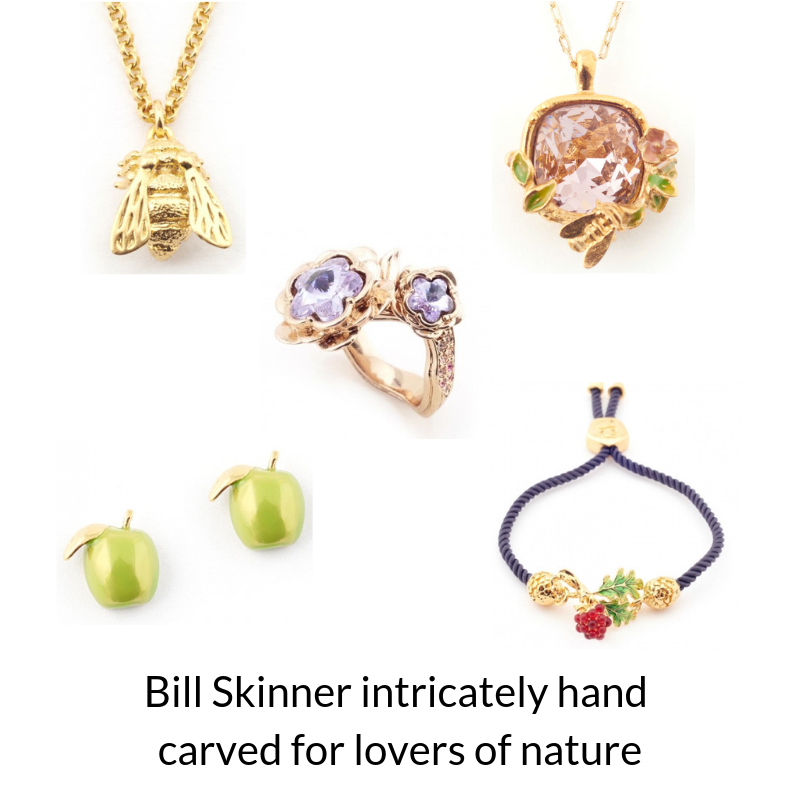 If so, you can look to Bill Skinner and his studio to provide the perfect gift, one that will be truly treasured. 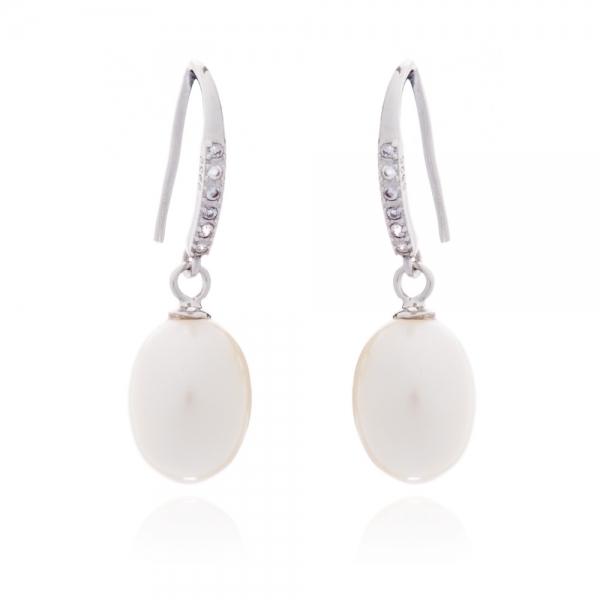 If you’re still unsure then opt for something which offers a timeless elegance. Here are some suggestions that could be worn by anyone anywhere……. From left to right Reeves and Reeves Bateau necklace in sterling silver, Reeves & Reeves Organic necklace in sterling silver with a tiny pearl, Collette Waudby handmade silver twisted leaf pendant, Tara Kirkpatrick handmade silver medium ball drops, Rachel Jackson Hexagon Trio necklace in gold vermeil, Cultured freshwater pearl studs in gold vermeil. 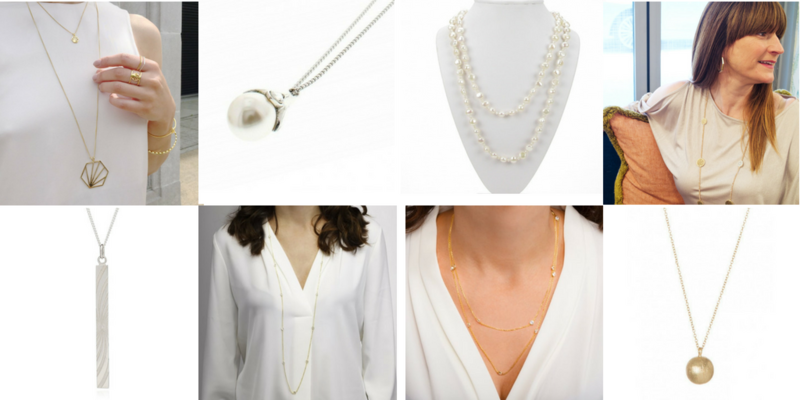 Any of these items could be worn day to evening so would be a very thoughtful, versatile gift. 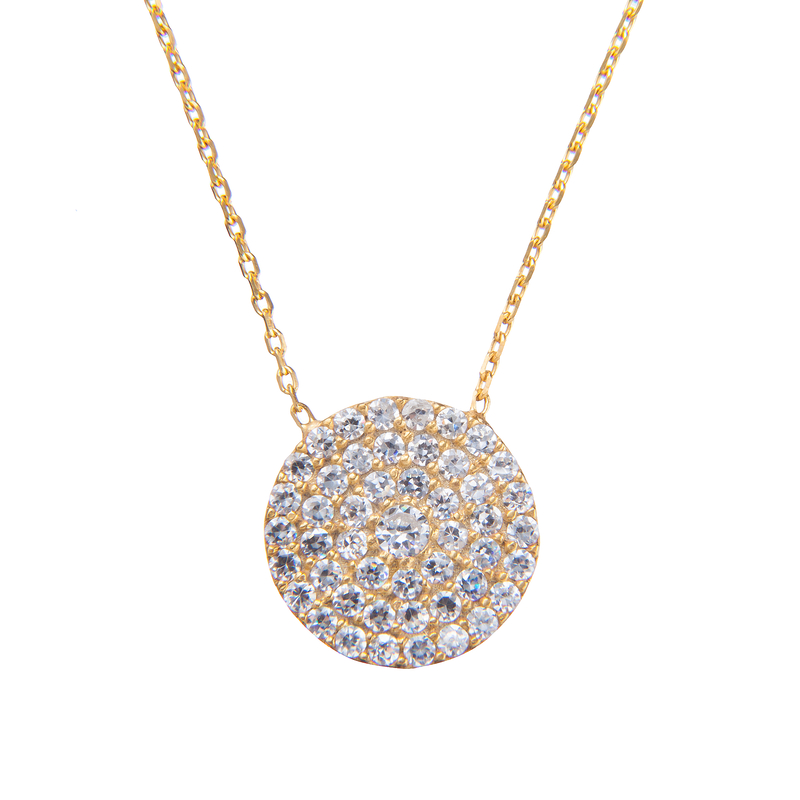 When all’s said and done, us girls love a bit of sparkle and it doesn’t need to be precious gems. Lovely though they are and in certain circumstances a must, the quality of cubic zirconia today means that even the experts find it hard to distinguish between it and the real thing without resorting to special equipment. Whatever you decide I wish you a wonderful time whatever you’re doing and whoever you’re doing it with. If you’re not lucky enough to have anyone to spend Christmas with and you’re feeling lonely click here for telephone numbers that may be useful to you. 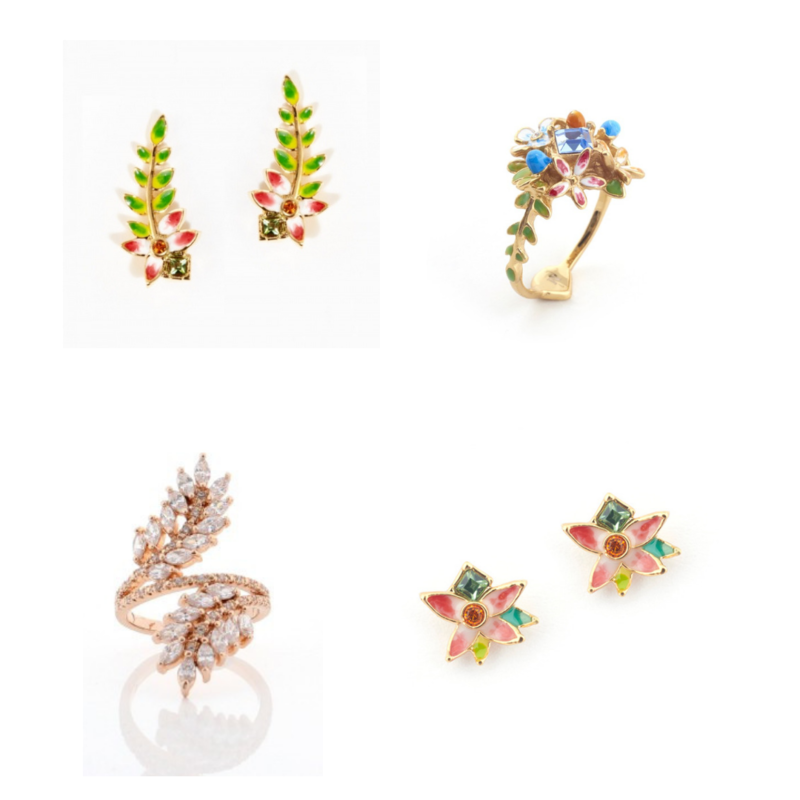 In order to serve my customers well and cater for differing styles, I like to provide my shoppers with their own jewellery department store at their fingertips as well as showcasing designs that they would otherwise not easily find. 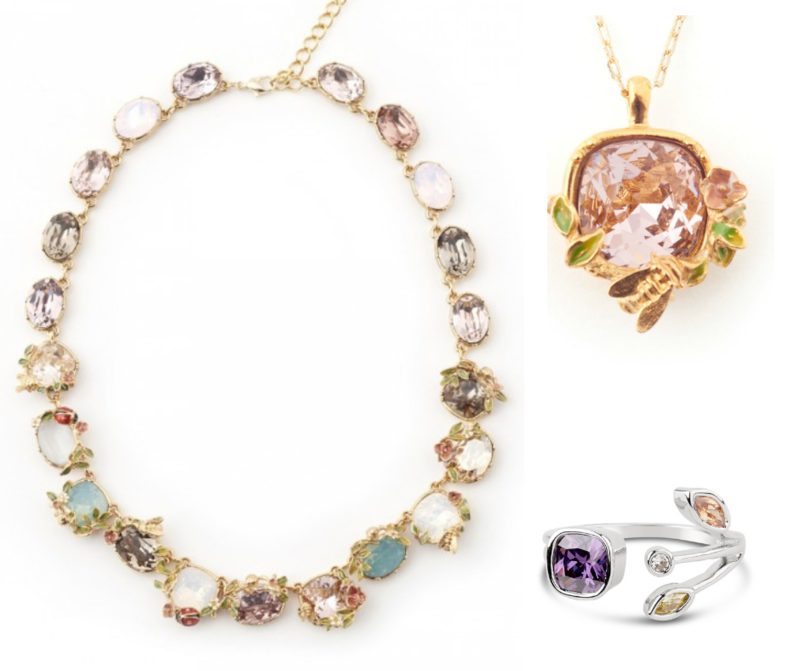 When you’re as passionate about jewellery as I am and particularly love supporting British designers, there is nothing more exciting than discovering a new talent. 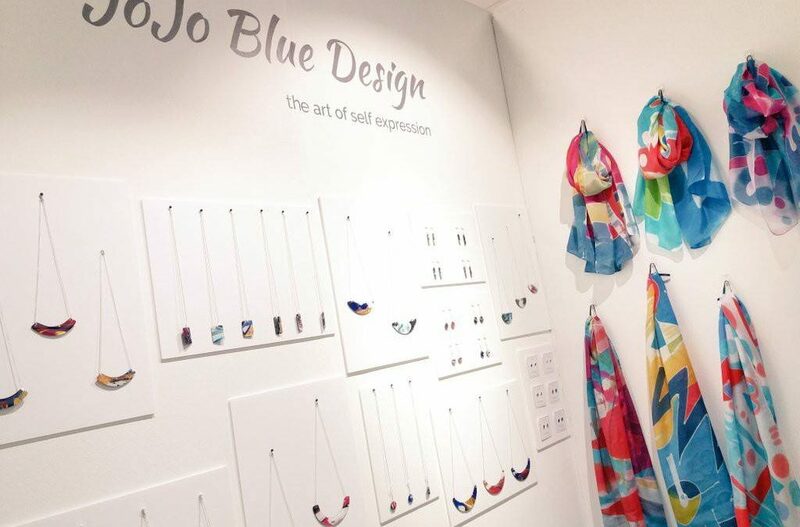 At the beginning of this year I was doing my usual round of trade shows when, tucked away on a tiny stand, I came across JoJo Blue Designs displaying some unusual, colourful jewellery and scarves that immediately caught my eye and required further investigation! Fast forward several months to today and I’m excited to share with you the launch of an exclusive collection on the Sophisticato website. So who is JoJo Blue? JoJoBlue is in fact a daughter and mother partnership. 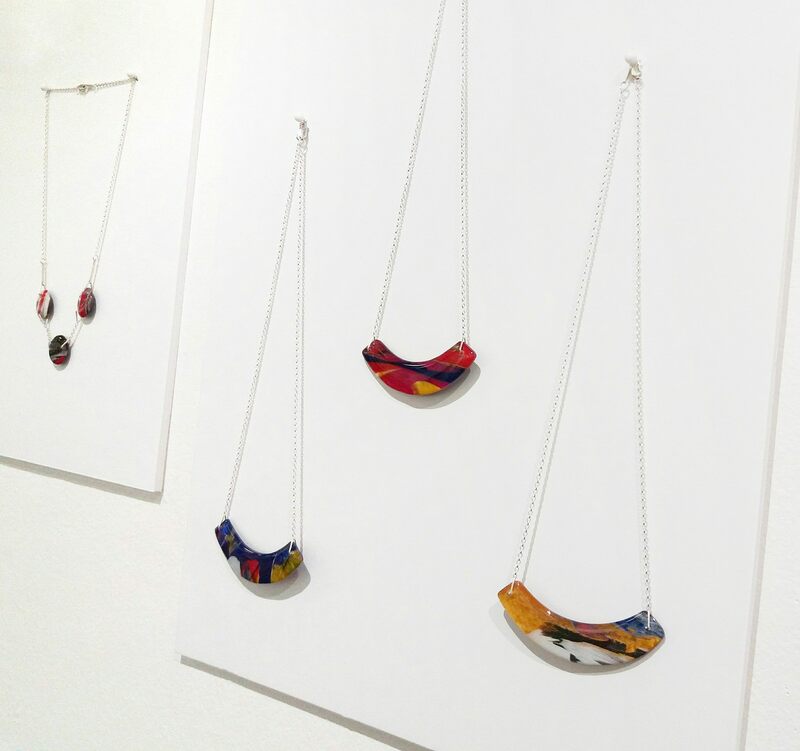 From their home in Scotland Sheena Johnson handcrafts the jewellery from acrylic and resin, creating one-of-a-kind pieces that are truly unique, while her mother Mary hand paints abstract designs onto silk. Q. 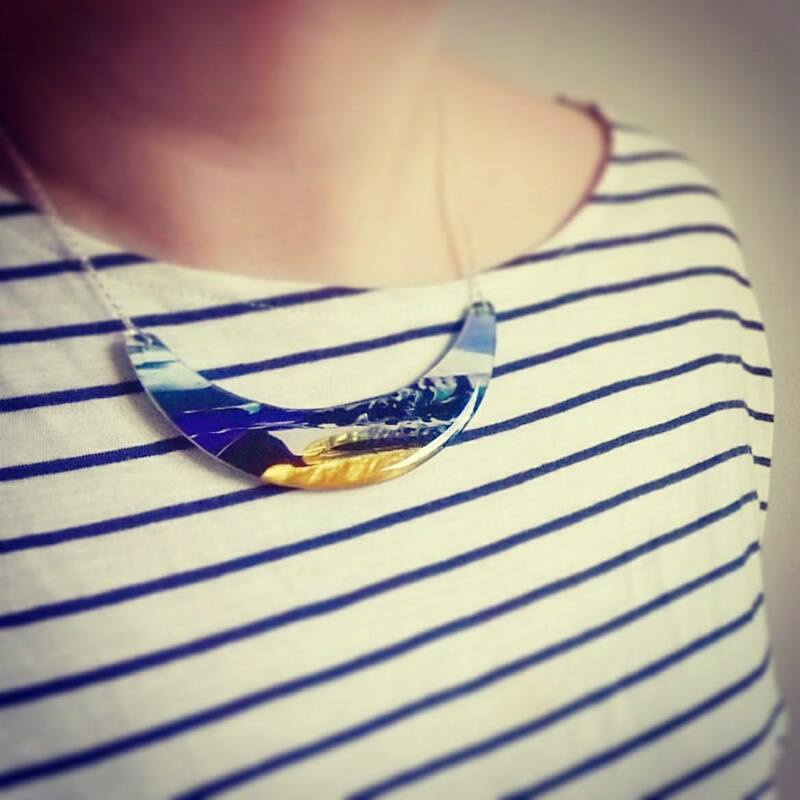 What is your background and how did you come to be working in jewellery design? Q. 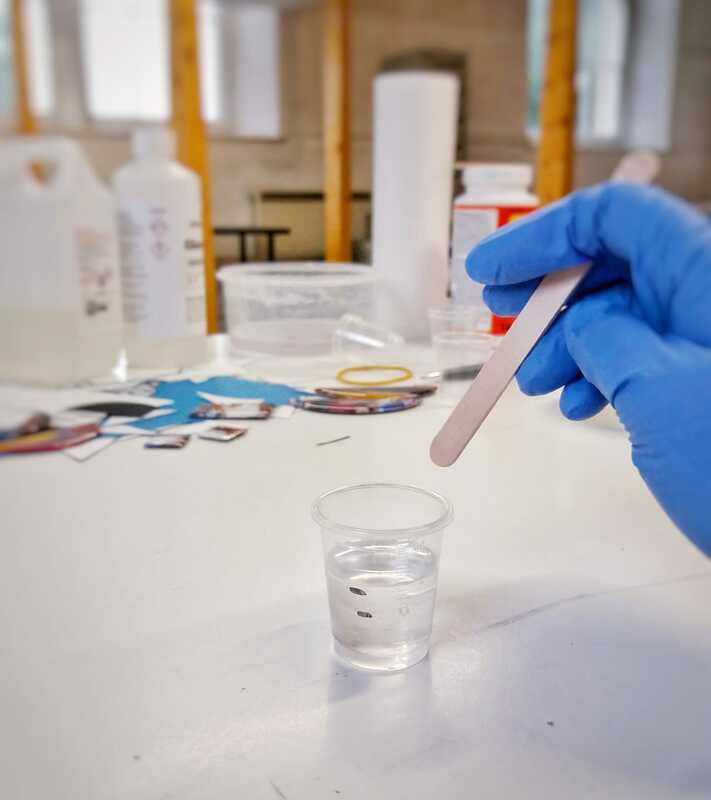 You work in resin and acrylic. Why did you choose these materials? Q. What led you to use acrylic? How did you know this was the best medium for you? Q. How would you best describe your design style? Q. What have been your influences in your style of design? Q. Where did the name JoJo Blue come from? Q. What’s it like working with your mum? Q. What is your background in design Mary? Q. 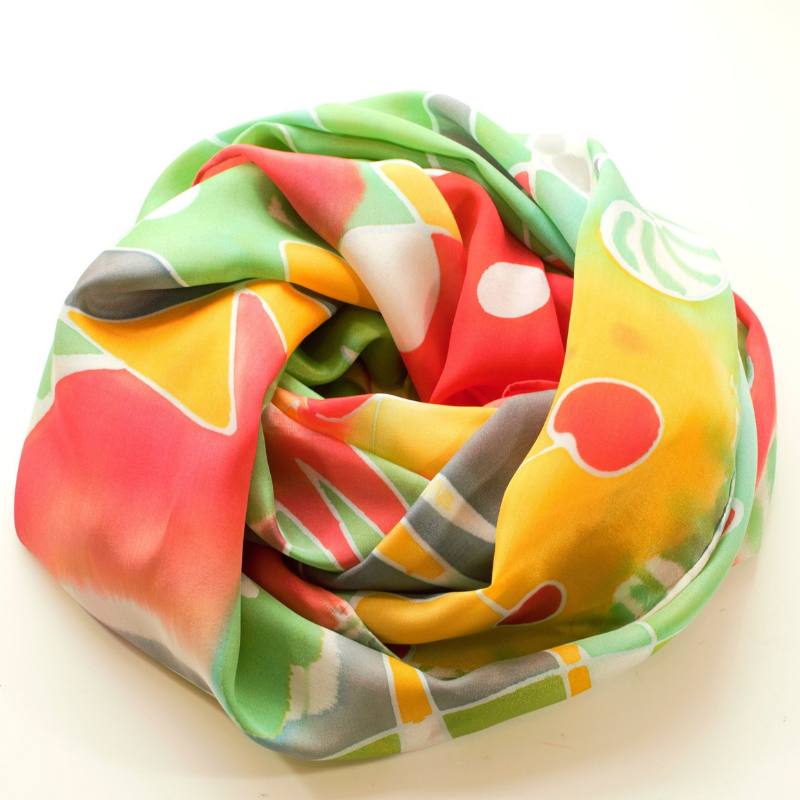 How did you come to be hand painting silk scarves? Q. How do you come up with your designs? Q. What have been your influences in your design style? 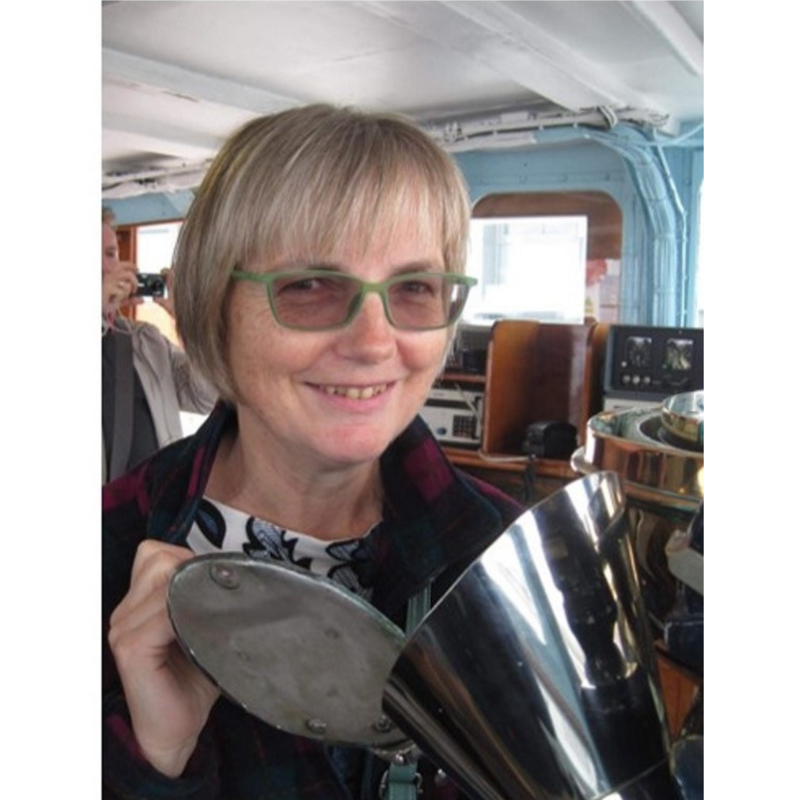 “I’ve been influenced by the abstract painters of the 20th century such as Kandinsky and Miro but recently I have also became interested in the abstract potential of the natural world. Q. How are you enjoying being part of JoJo Blue design? 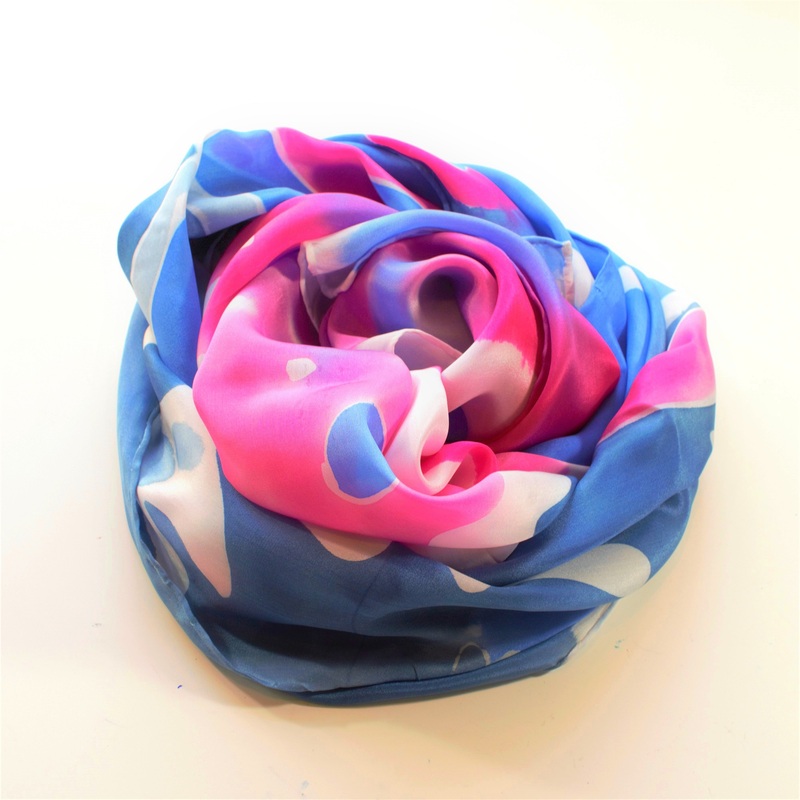 “Being similarly inspired as Sheena by colour and abstract design the silk scarves complement the jewellery and I love working with the soft beauty of silk which I source in the UK, to create unique, wearable pieces of art. What talented ladies and how lovely that 2 generations of women are working together on their passions. 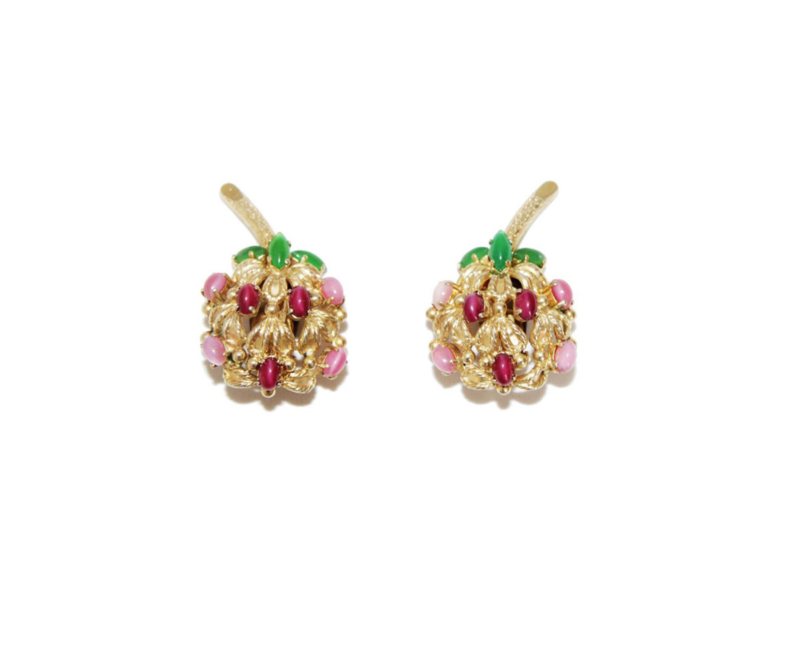 Some women tell me that they’d love to wear jewellery but find choosing and shopping for it a little bewildering. They feel it’s hard enough to decide on an outfit let alone the accessories. Some of us grew up in times when the man in your life bought the occasional fine jewellery pieces as a gift and you may have the odd precious pieces with genuine stones but to be honest, though they have their place, I rarely have the occasion to wear this sort of thing nowadays and unless you have a lot of money these pieces will be quite minimalist and not in keeping with current fashion trends so can actually make you look frumpy, dare I say it! But maybe you have a faithful pendant that gets thrown on whatever you wear and/or maybe you have accumulated a multitude of necklaces, bought on impulse over the years, that are just gathering dust and tarnish so when you go to put a piece on you’ve got to disentangle/clean it first and likely end up wearing nothing! Then there are some women I’ve met who have lost or never got into the habit of wearing jewellery at all who tend to feel self conscious about the prospect of starting to wear it even though they’d actually love to! 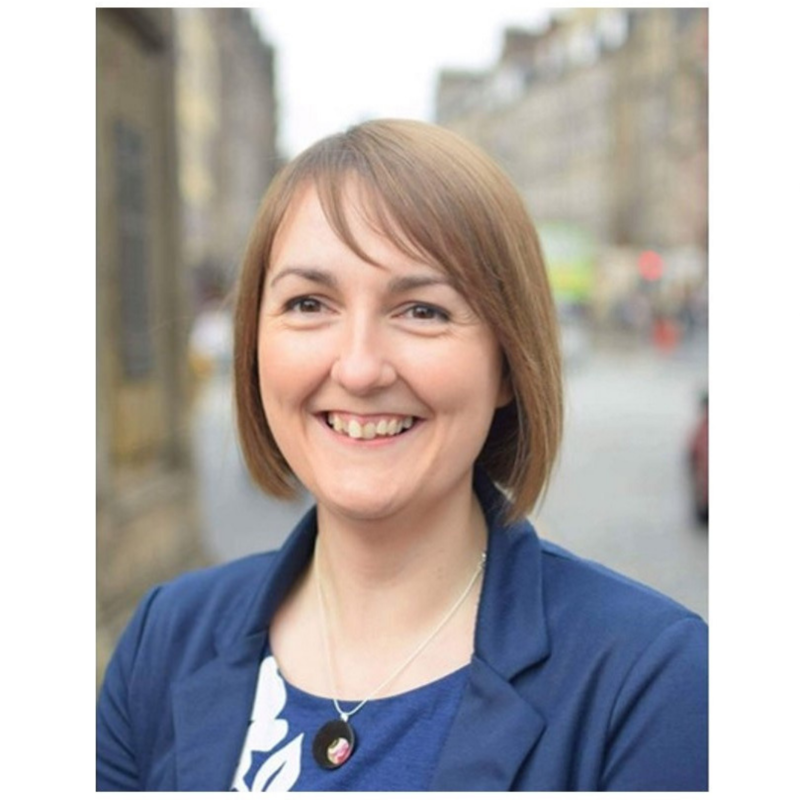 Often they are dealing with confidence issues and trying to tackle some of this by looking at their wardrobe as a whole, sometimes with the help of a stylist, to understand their colours, personality style, body shape etc. I thoroughly recommend this for anyone especially if you have confidence issues. Stylists can help you totally change the way you feel about yourself and the way you shop, but I digress so I will return to this subject in another blog methinks! Now as you will know if you’ve come across me on social media or read previous blogs, when I walk out the door earrings along with some lippy are a minimum requirement. As someone who’s not naturally confident I find this essential for my ‘ready to face the world’ persona. You’re familiar I’m sure with the term ‘capsule wardrobe’ from stylists and fashion media/bloggers; – pieces of clothing that reflect your personal style that can be worn again and again in combination with one another? 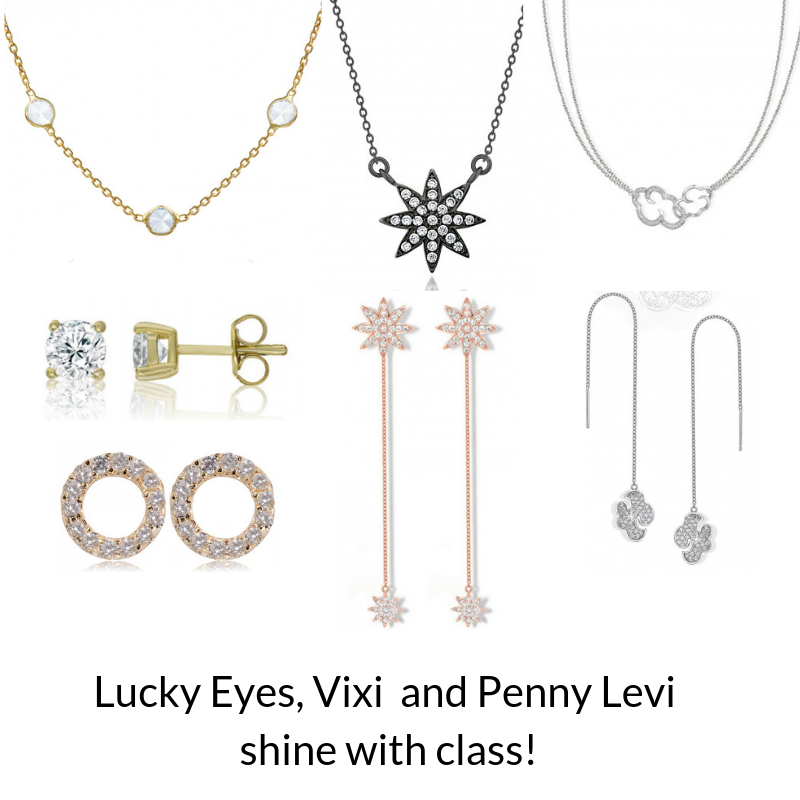 The same principles can be applied to jewellery as well, resulting in a jewellery collection that contains simple, versatile pieces that can be worn with anything in your wardrobe for all your day to day needs. The key is to buy quality (that does not have to equate to expensive!) and to buy with purpose. First have a clear out! 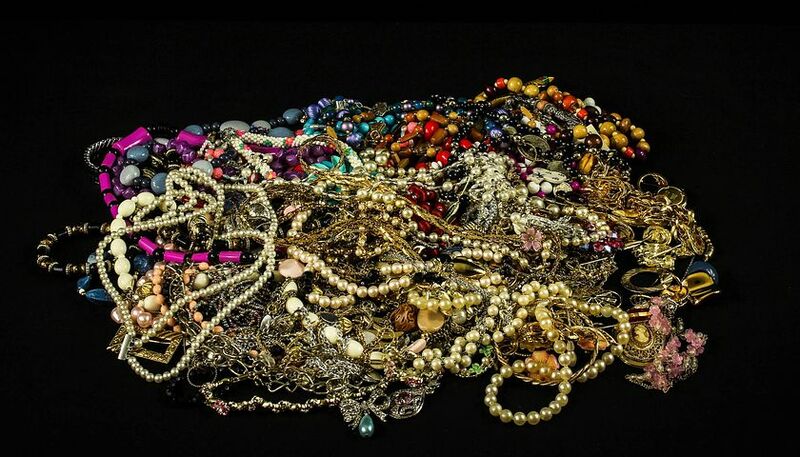 If you have jewellery items in your drawer, possibly going back years, this is a very therapeutic exercise and with a clear out comes space for new things. Discard anything you don’t love, anything you haven’t worn for a couple of seasons (as long as it’s not valuable of course!) and anything which has deteriorated/tarnished beyond help and certainly those that turn your skin green! As with any purge I guarantee you’ll feel good for having done it. The first choice you need to make is silver or gold. Now this could be a simple matter of preference but if you’ve had your colours analysed by a stylist you’ll know what suits you better. If not, the rule of thumb is this that if you suit soft muted colours, or bold, vibrant colours you should consider sticking to silver. 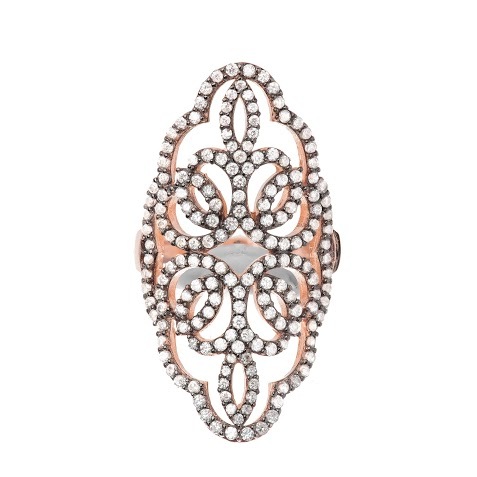 Rose gold is good for just about everyone but there is often less choice available in rose gold. 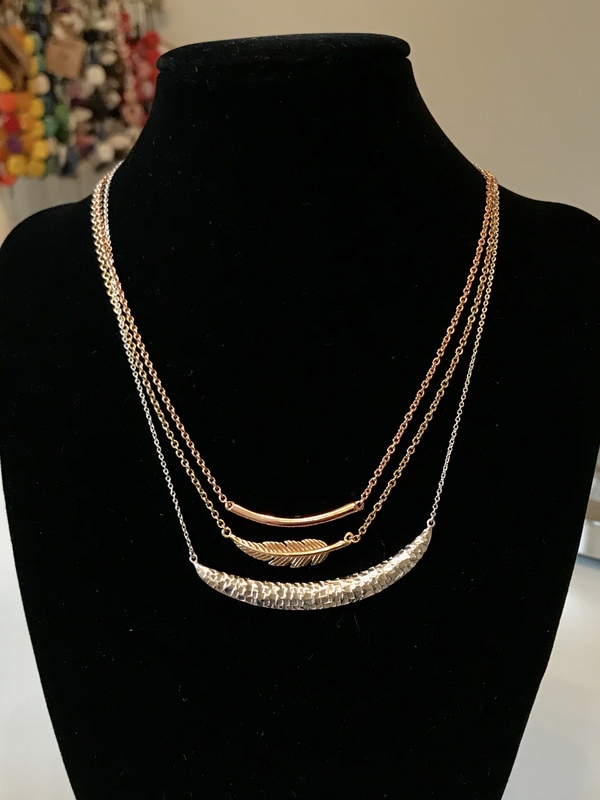 There’s nothing to say that you can’t mix and match metals but to start with choose one so that you are guaranteed a cohesive collection and if later others wish to buy you gifts they’ll know which to buy!! My suggestion is that you keep it really simple to start with and buy one piece from each main category ie one pair of earrings, one short pendant, one long, one bracelet and if you don’t have engagement/eternity rings that adorn your hands the majority of the time, a ring. With the base collection achieved, you can then add to this as you go along and gain more confidence. Additional options include, for instance, a pop of colour, more sparkle/statement pieces for those party nights and more season specific pieces for holidays (these can be very inexpensive while still choosing a quality brand). If you are uncomfortable wearing studs, which won’t apply to many I’m sure, then simple hooks like these will definitely work for you. Fairly straightforward but worth giving a little thought to the type of neckline you tend to wear. You have the option of a simple horizontal necklace if you tend to wear rounder necklines rather than v neck or sweetheart necklines. Also if you wear collared shirts a horizontal style can work really well to pretty up the neck. 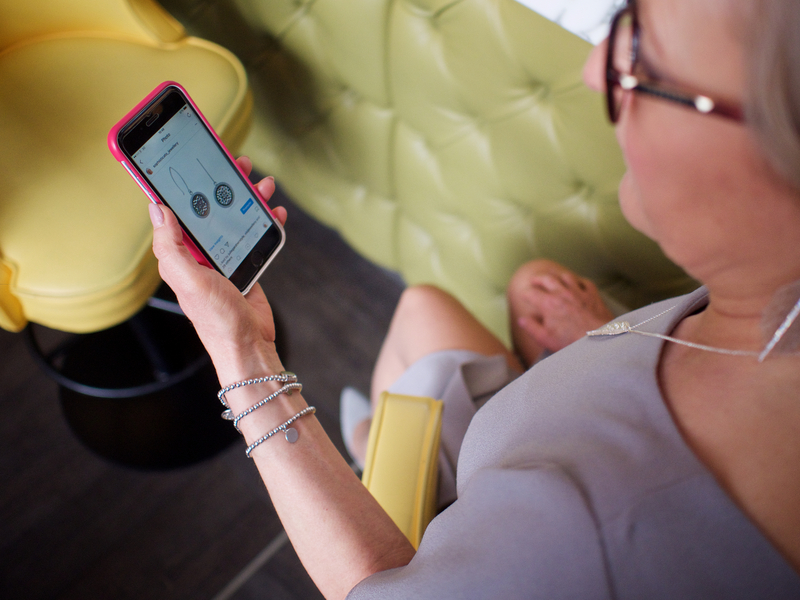 If going for the more common form of pendant, think about where you want a person’s eye to be drawn, how tall you are and therefore what length you need. 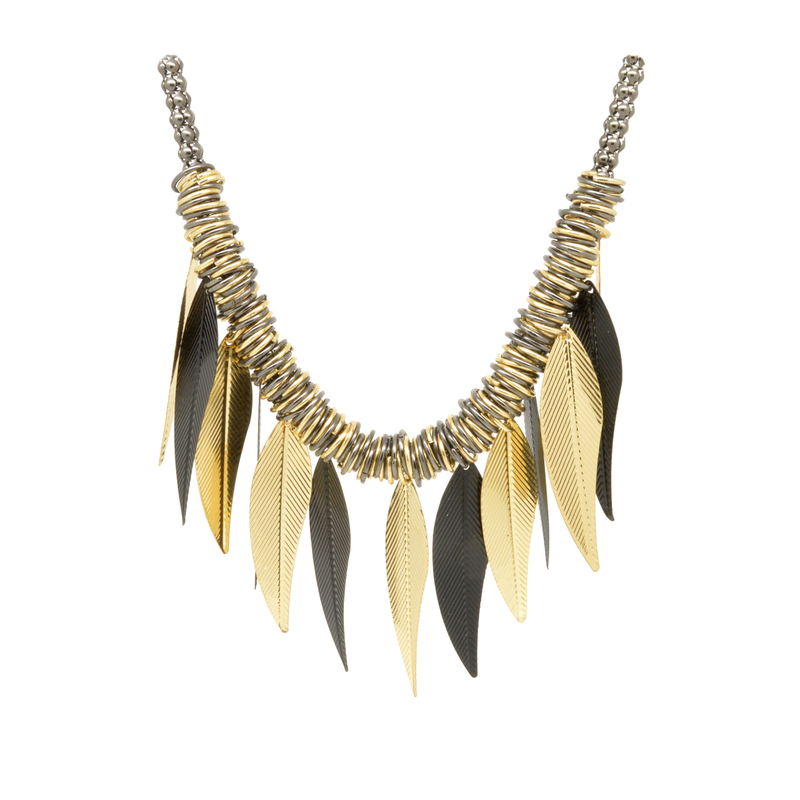 Sounds obvious but if you have a broad neck a 16″ chain is going to be almost choker style. 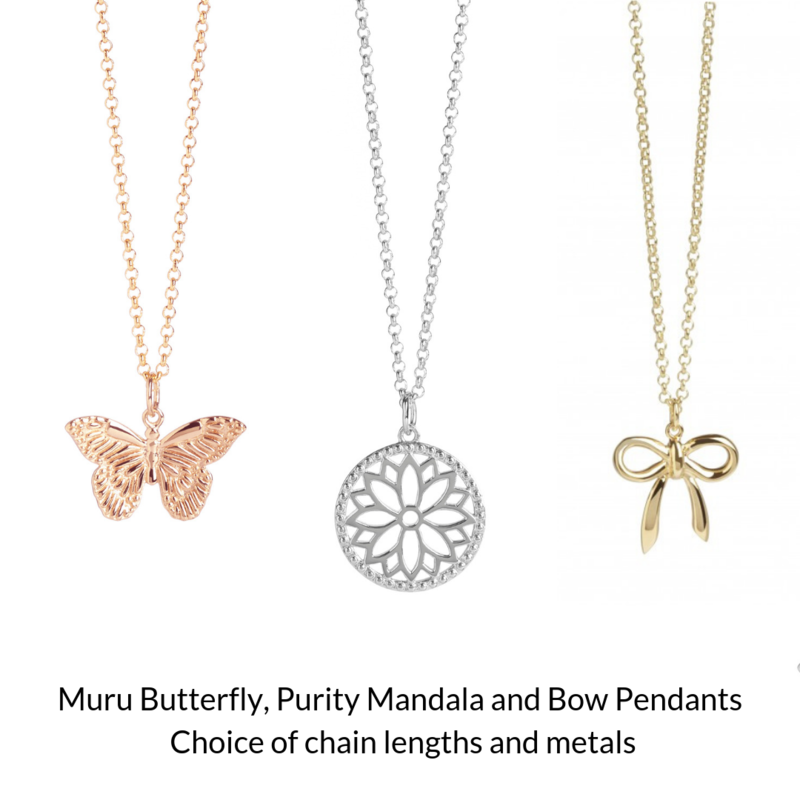 I offer a choice of lengths on most of the Muru pendants and other brands will vary. Anything from 16″ to 20″ will be appropriate depending on your body scale. You may wonder why I feel this is important enough to be included as part of the basic capsule but short necklaces don’t work with everything. If for instance you have a turtle neck jumper or a shirt a long necklace can be far more effective. Even with some dresses a long necklace can work a treat. For instance I have a plain Boden dress that has a collared neckline which conflicts with a short necklace but a long necklace takes the plainness away and gives the outfit a real lift. 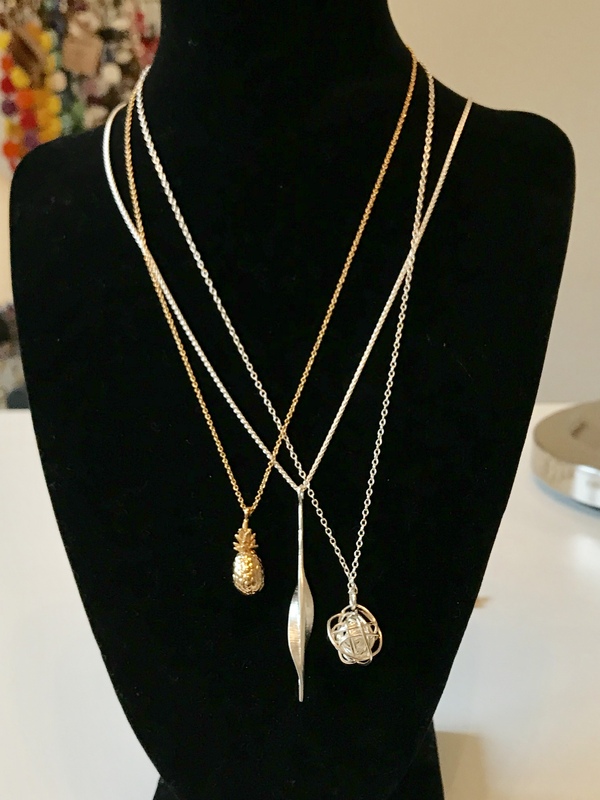 With a short and long necklace at your disposal you also immediately have the tools for layering, something which will very easily take your outfit up a notch and keep you very much on trend. 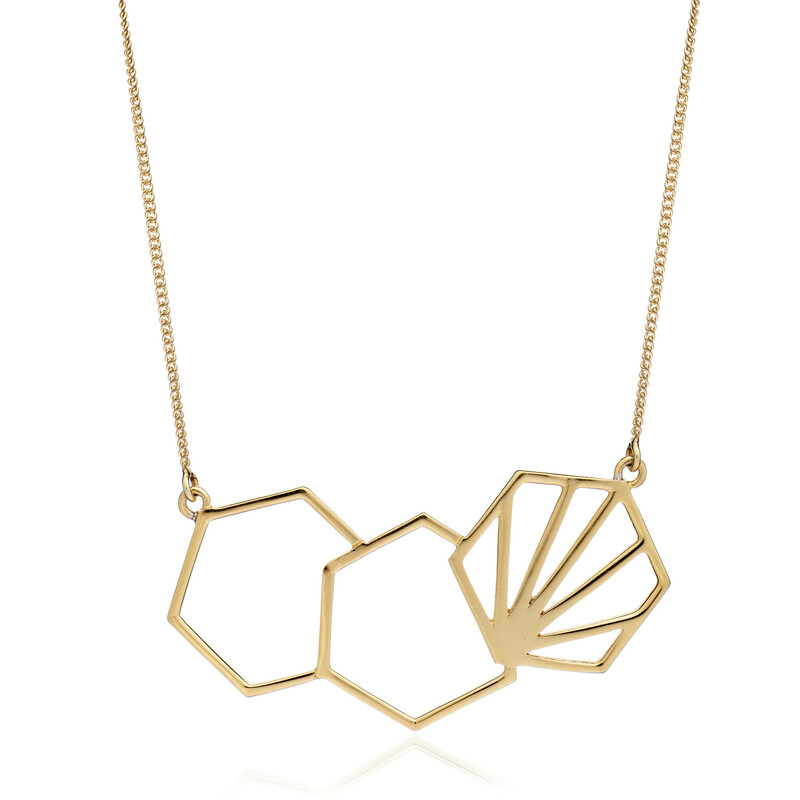 Some long necklaces can even be doubled up to give an instant layered look on their own. Bracelets really do add a touch of ‘finish’ to an outfit so I recommend you give some consideration to adding a bracelet to your capsule collection. With short or 3/4 sleeves a bracelet will have impact however delicate but a sophisticated bracelet at the end of any sleeve is a very feminine touch especially in an office environment where perhaps you have to dress in a corporate style. It also just adds a touch of elegance and class. I hope you have gained some inspiration from this blog. It is not prescriptive, there are of course many other options but the basic premise is that from a nucleus of pieces you can build a collection that will mean that you are never short of something to ‘dress’ your wardrobe. I hope this will give you the confidence to add in bolder, more adventurous pieces that will make a statement about you and your personality. Whatever your budget there will be something for you but inevitably the less expensive items will not last as long. 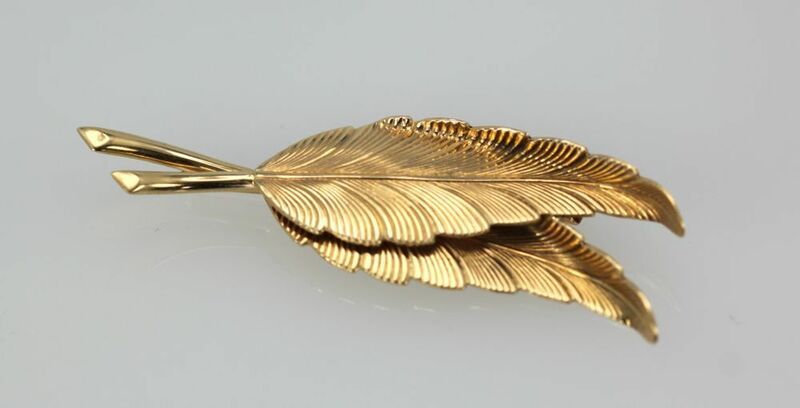 Nothing outlives solid gold, platinum and real gems which is why they are called ‘precious’ but materials such as vermeil, gold filled metal, and the better quality costume pieces will last you for years and give great value for money if they are looked after. If you have any questions, comments, style dilemmas I’m always happy to try and help or suggest someone who can.